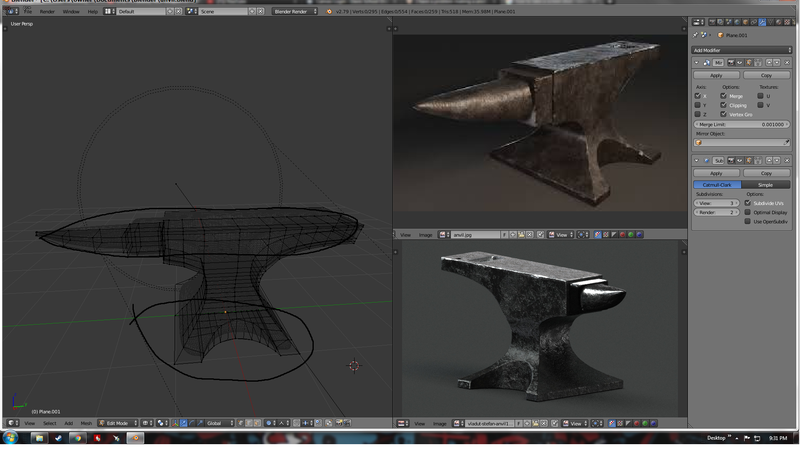 im a beginner trying to get the hang of blender and while creating an anvil i found this problem there seems to be my good mesh inside of this bad mesh i cant seem to find the answer anywhere. at the bottom you can see it the most but if i try to drag the model by any part the good model comes through whiste the blocky and bad looking one stays any ideas? Is there a way to set up this mouse input tweak to make modeling faster?